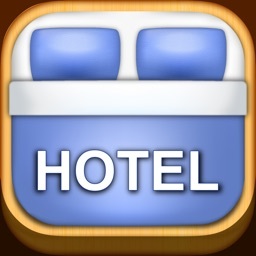 Find the best deals on any kind of accommodation in your region of interest. 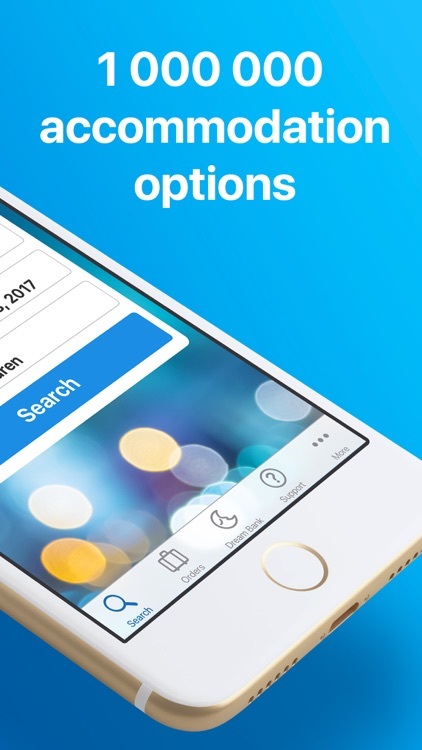 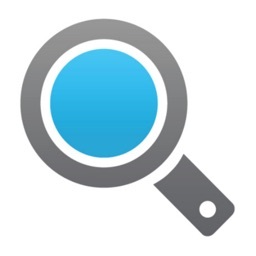 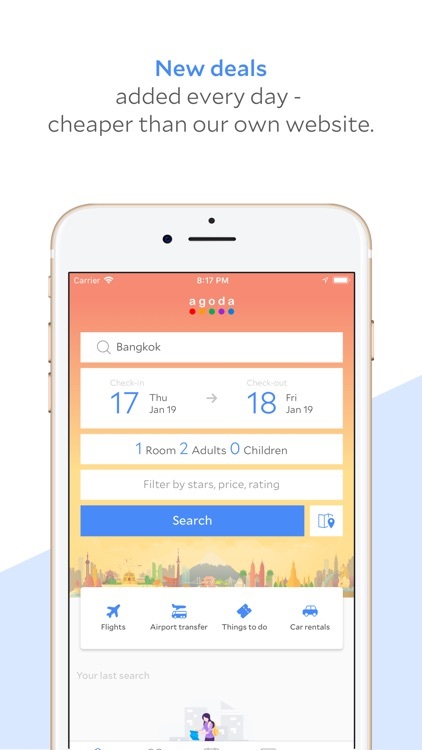 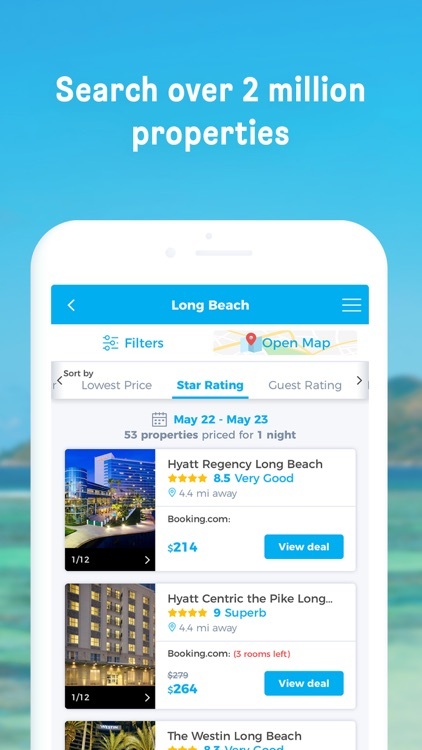 Apply search filters to view and discover hotels around you or a specific area, that meet your criteria based on price and amenities. 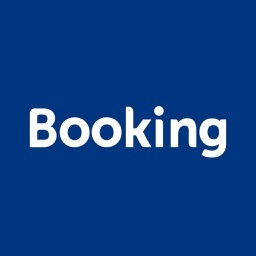 Booking.com provides over 900,000 options worldwide for you next hotel stay. 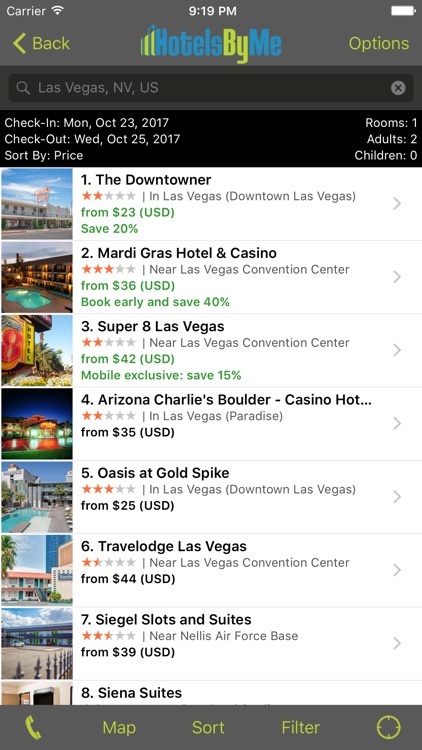 The app offers last-minute deals, searches by city and landmark, a favorites list, and filters. 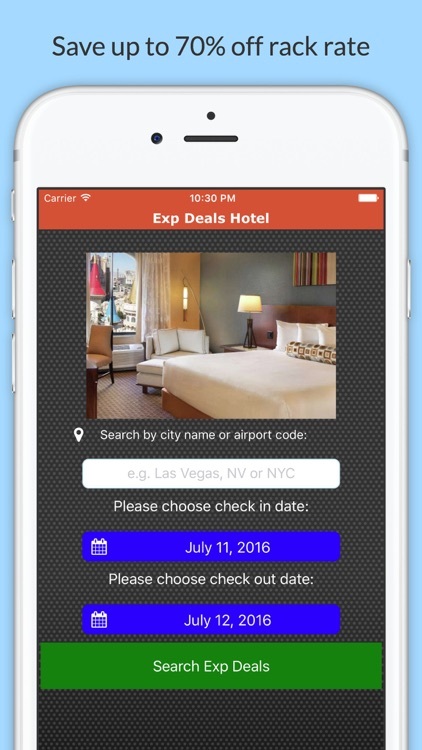 When you are ready, just sign in and book your accommodations. 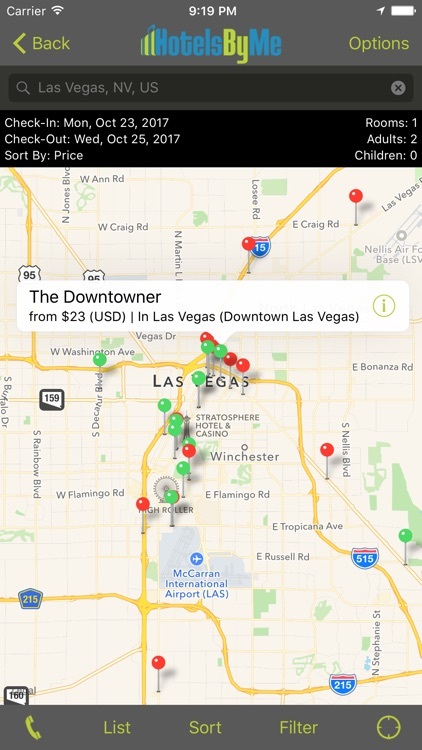 For those who want a hotel finder that offers deals, maps, and Apple Pay. 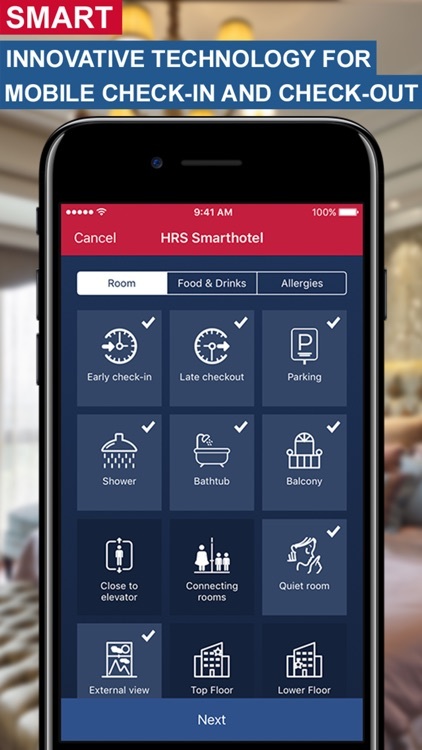 Search, book and save at around 850,000 accommodations across the world with the HRS hotel search app. 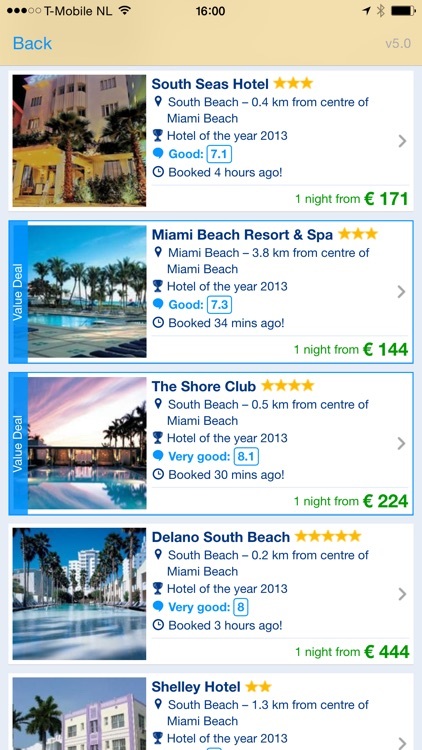 Find your favourite hotel and you can even make savings when comparing to the best online prices, in just a few steps. 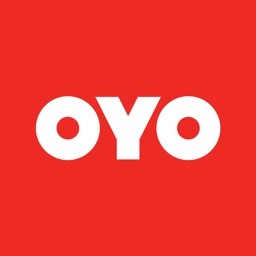 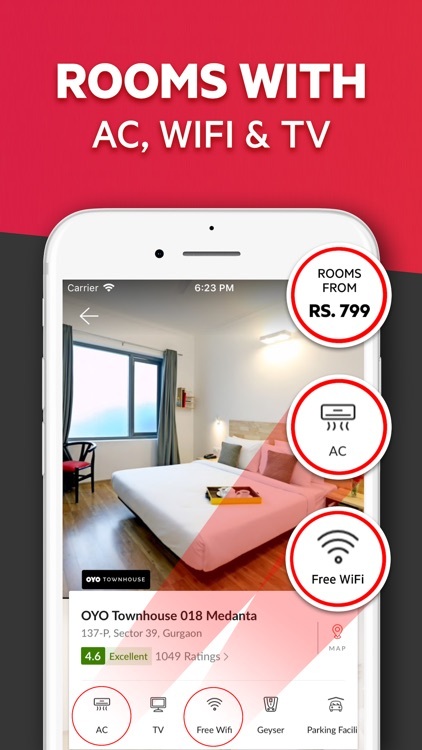 Easily book high-quality, budget hotels across 230+ cities in India, Malaysia & Nepal. 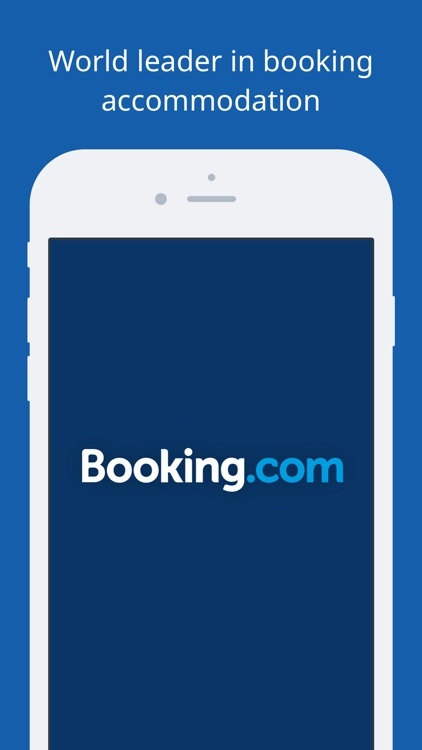 Get hassle-free booking in 5 quick seconds. 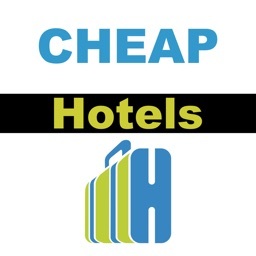 Search clean and affordable hotel rooms at unbeatable prices. 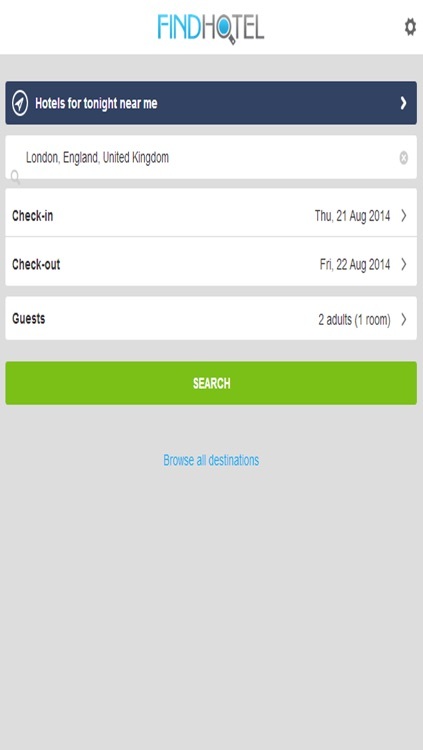 Book a room, order room service, arrange a taxi and pay for your hotel, all through the app. 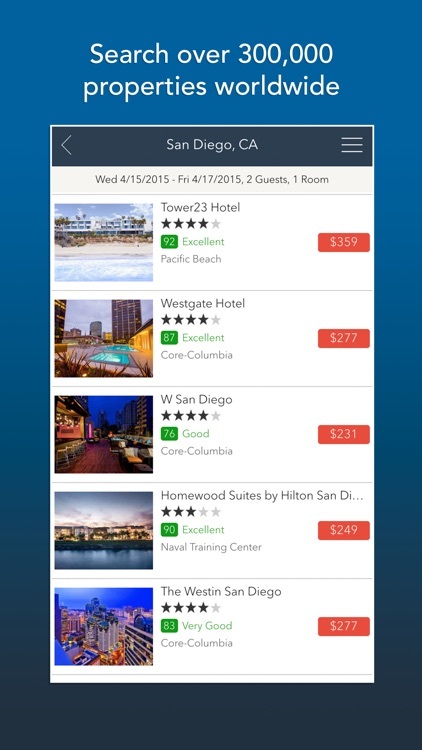 Find Hotel serves over 500,000 monthly hotel bookers online and is now available on mobile. 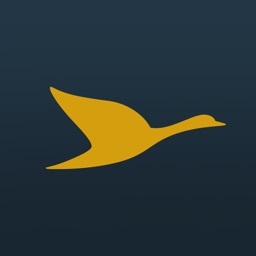 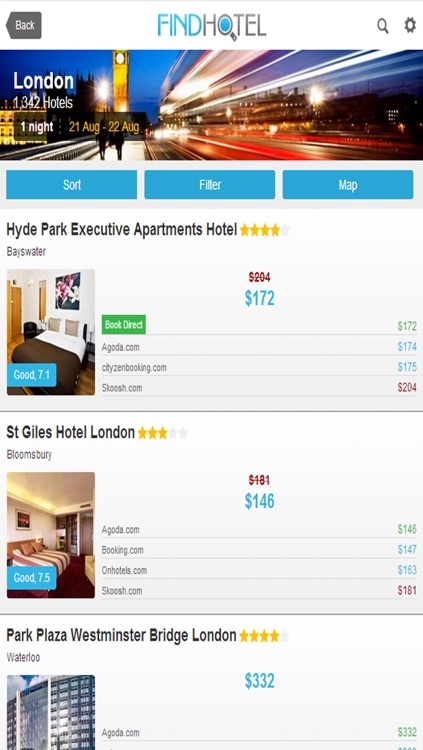 Compare the top hotel booking apps in one search. 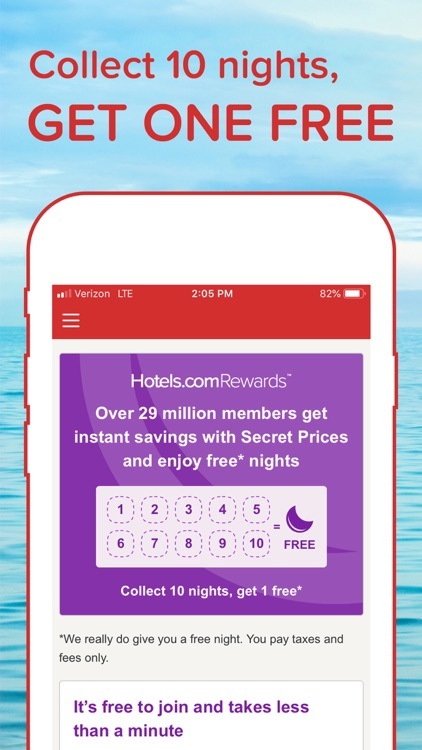 Do you have favorite hotel chains? 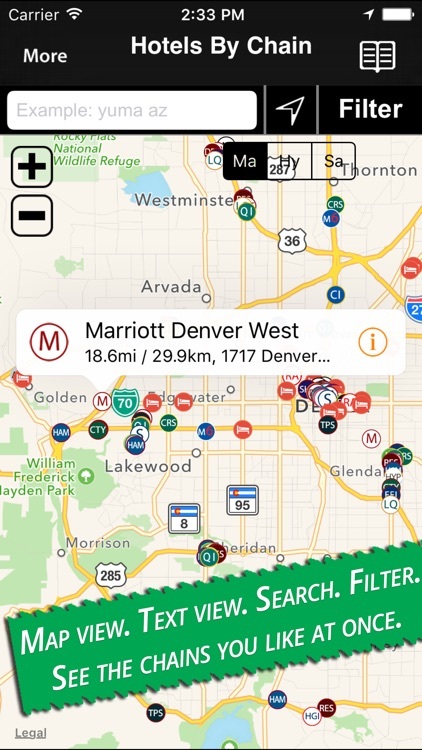 This universal app makes it easy to find chain locations nearest you (or far away). 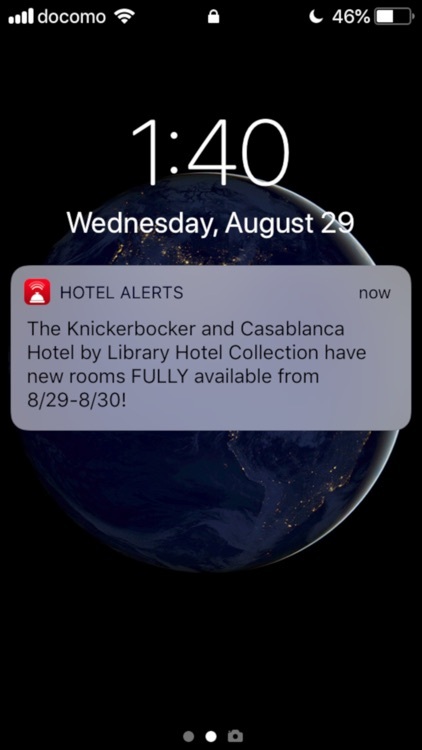 With or without service. 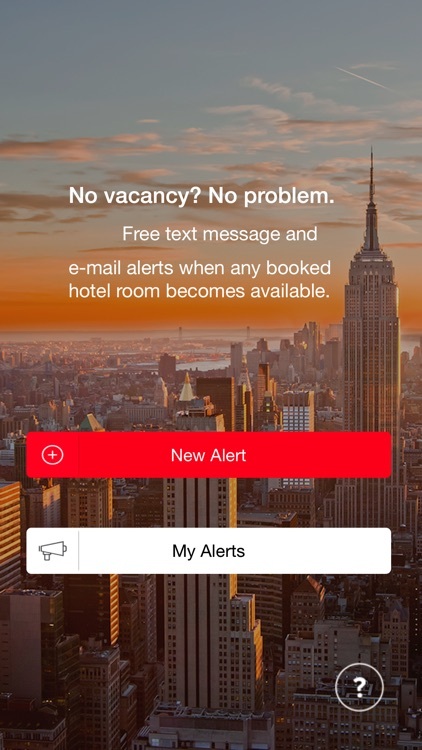 No waiting for data, ads or being thrown in a queue. 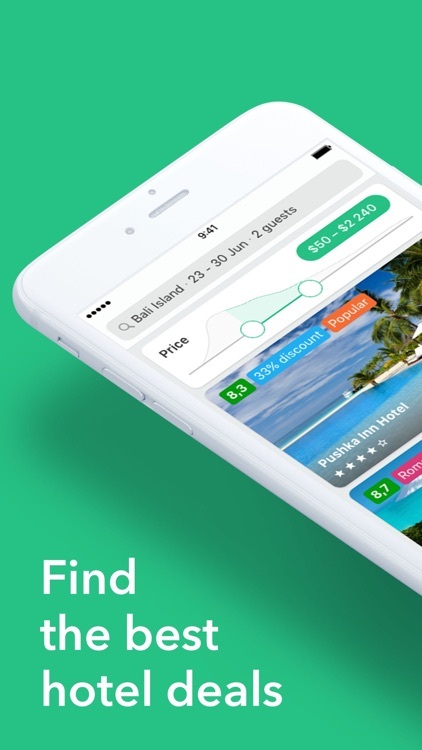 Please read to know why this app is unique. 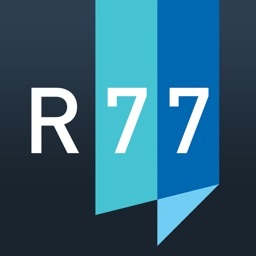 Room 77 searches over 270,000 hotels worldwide for the best prices from top travel sites. 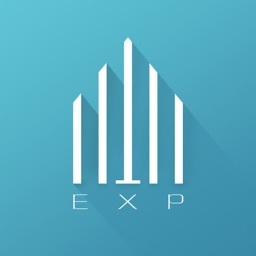 Exp Deals Hotel can help you find hotels up to 70% off the rack rate. 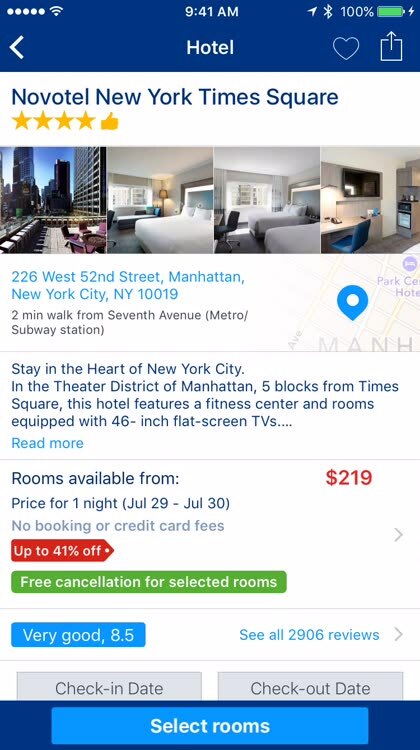 Instead of opaque booking sites such as Hotwire or Priceline, Exp Deals Hotel will let you know the exact hotel name before booking. 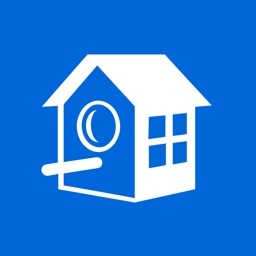 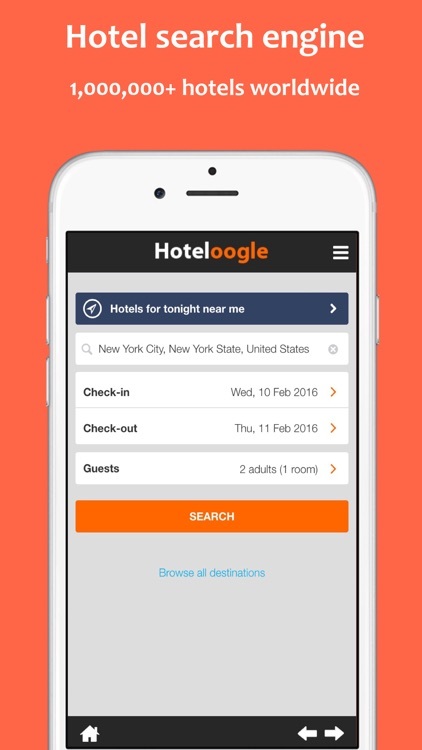 Hoteloogle is a unique free hotel search engine. 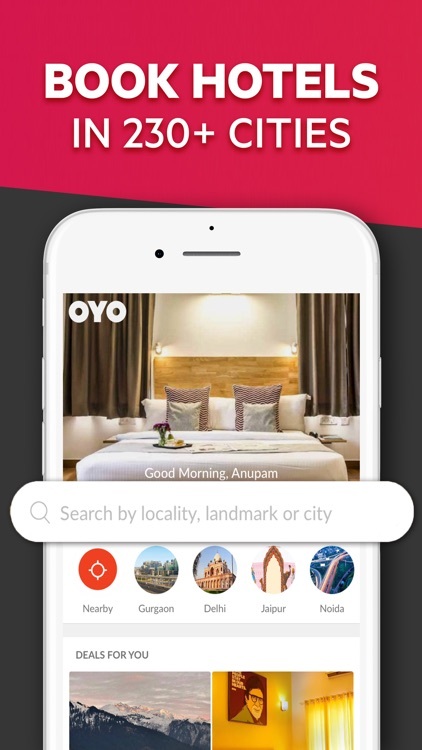 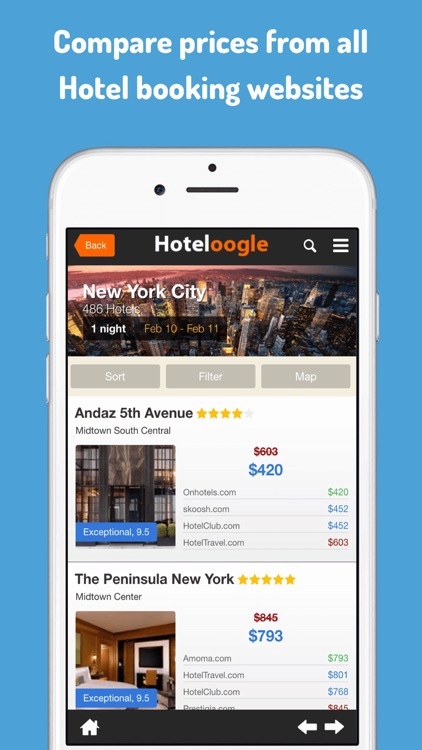 Install Hoteloogle app to compare hotel prices from all major hotel booking websites and thousands of official hotel websites. 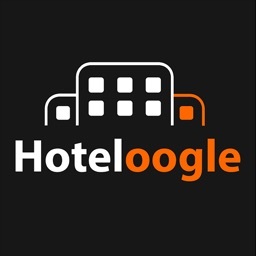 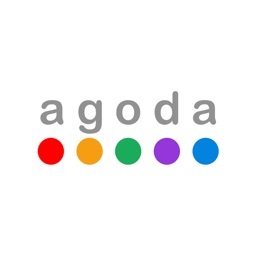 Using Hoteloogle travelers no longer have to search travel websites one by one to find the best deals and lowest prices. 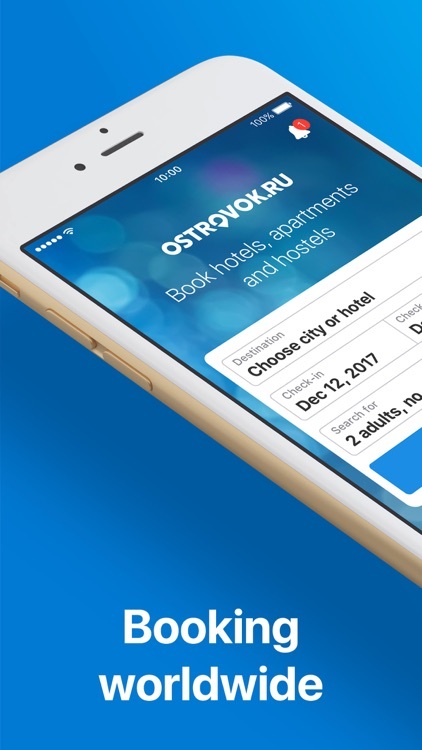 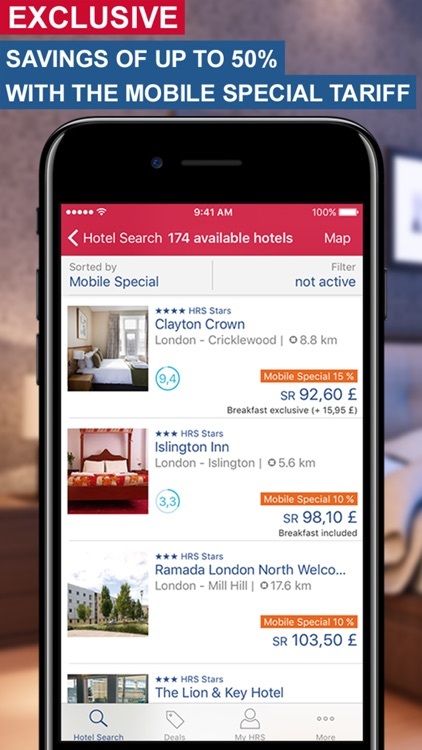 This app means you can instantly find a hotel - whenever you need it. 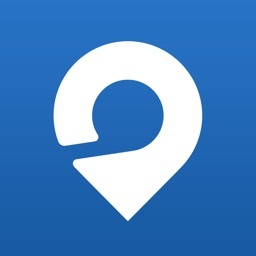 Wherever you are in the world! 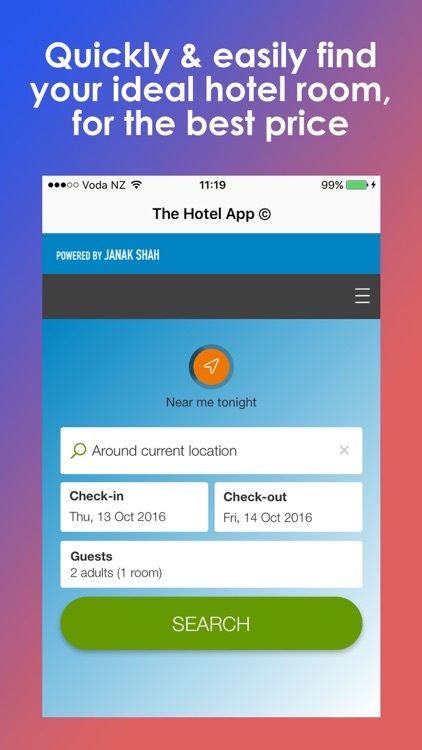 In 2 clicks you'll be talking to the closest hotel to your current location. 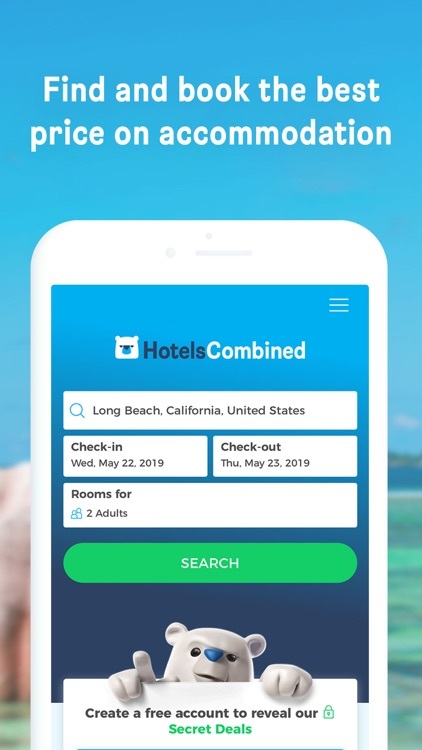 Find a Hotel or Motel in seconds! 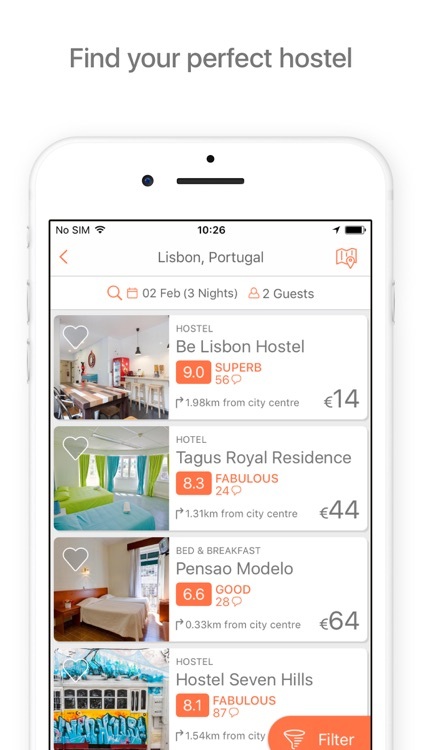 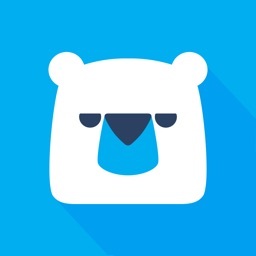 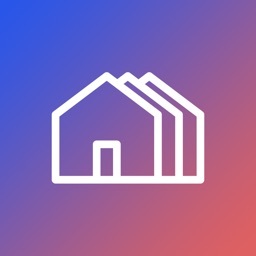 This cool app quickly identifies your location and lets you choose the nearest hotel. 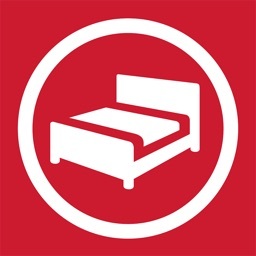 Are you looking for a Hilton Garden Inn, Holiday Inn, or Hampton Inn? 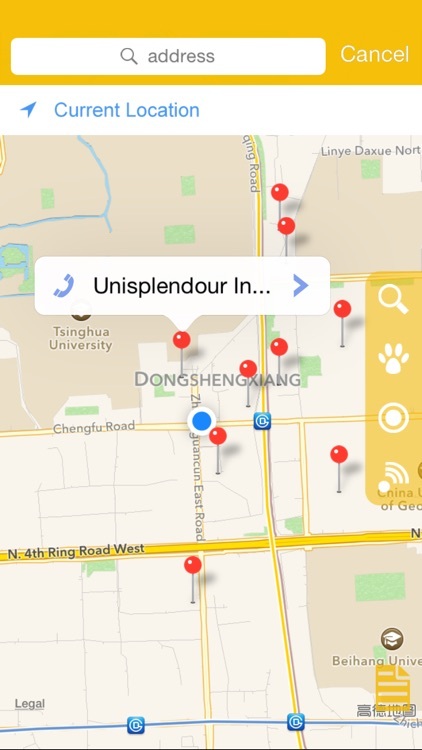 In search of a nearby Spa Hotel, Boutique Hotel, or Luxury Hotel? 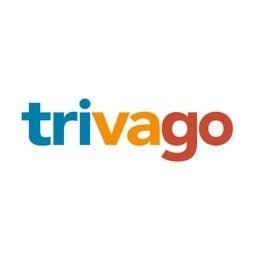 How about a Pet Friendly, Family Friendly, or Business Hotel? 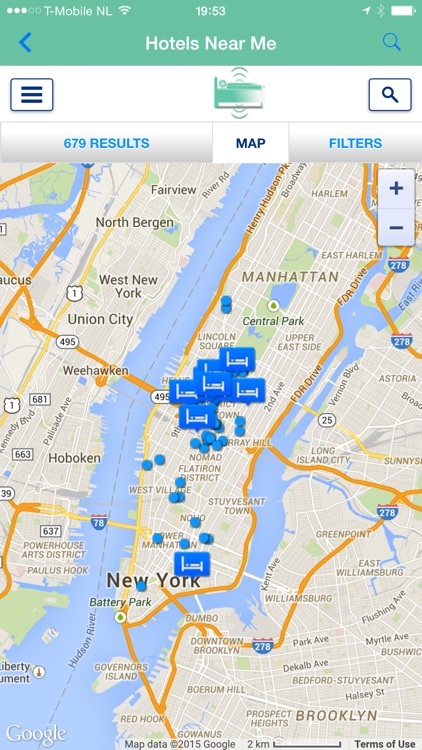 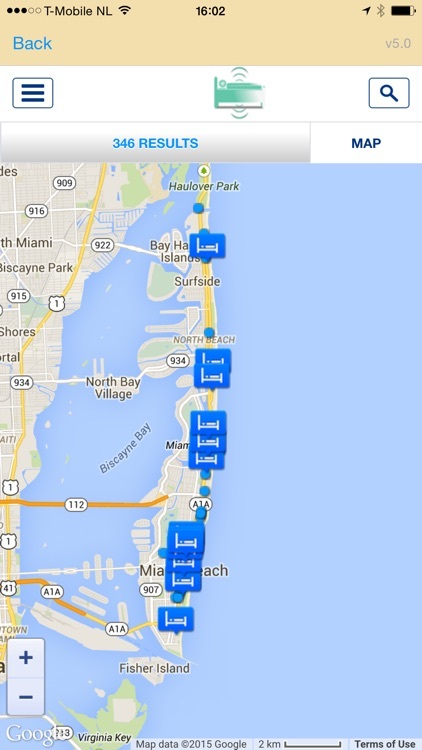 This cool app can help you locate all these hotels, and many more! 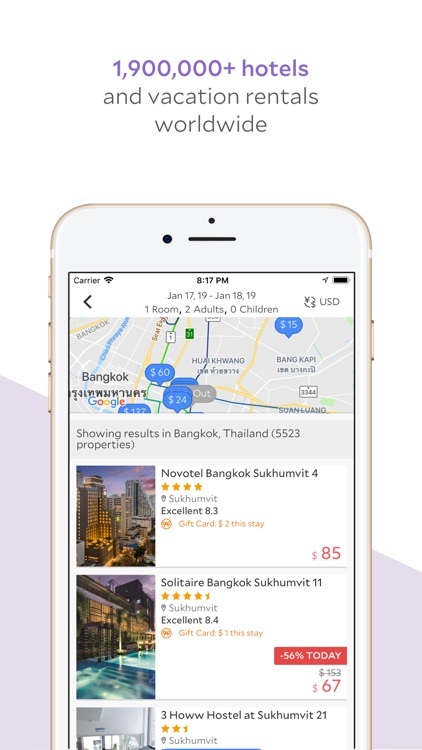 When you select a listing, you can see the hotel's location on the map, the address, telephone number, and the distance from where you are. 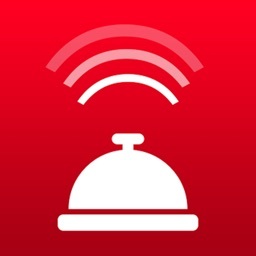 You can also call the hotel directly by tapping on the phone icon on your iPhone. 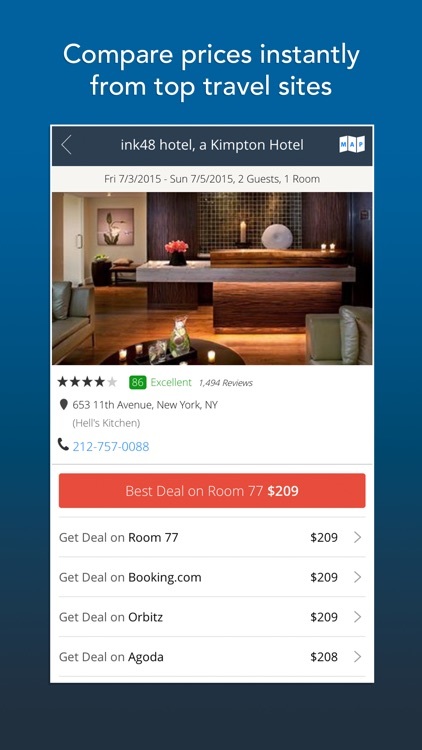 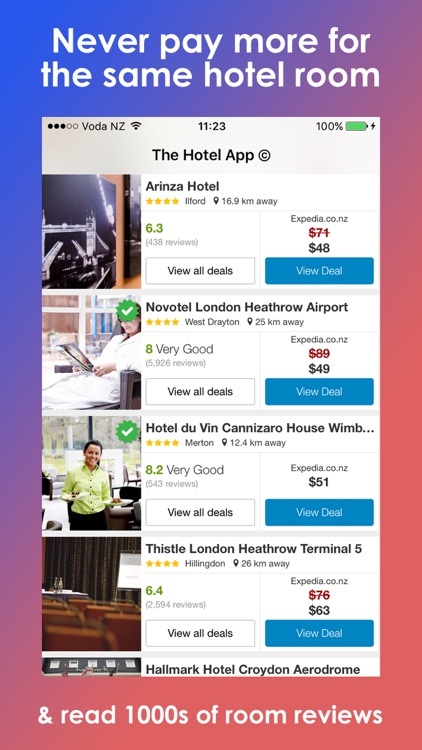 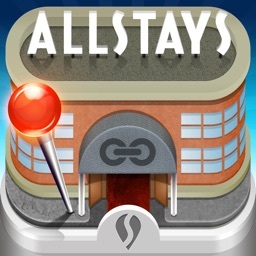 HOTEL DEALS ON YOUR IPHONE AND IPAD. 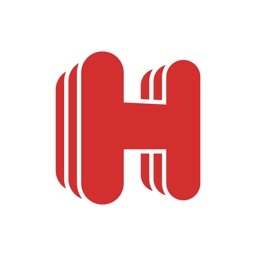 POWERED BY HOTWIRE. 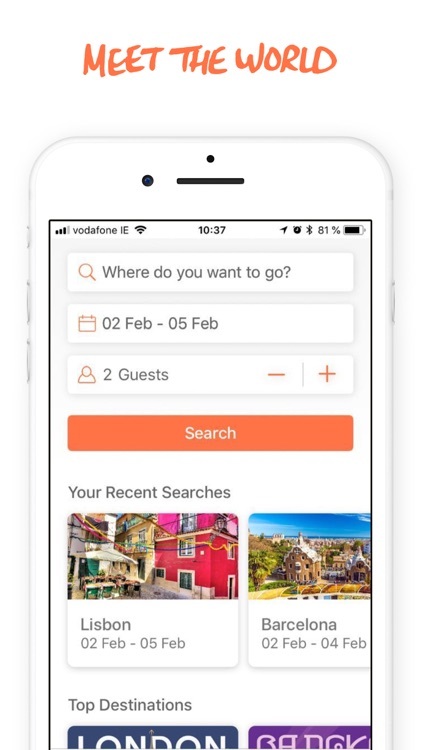 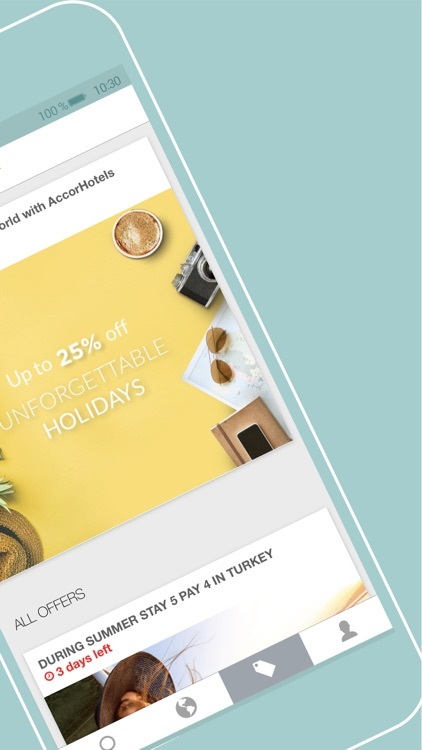 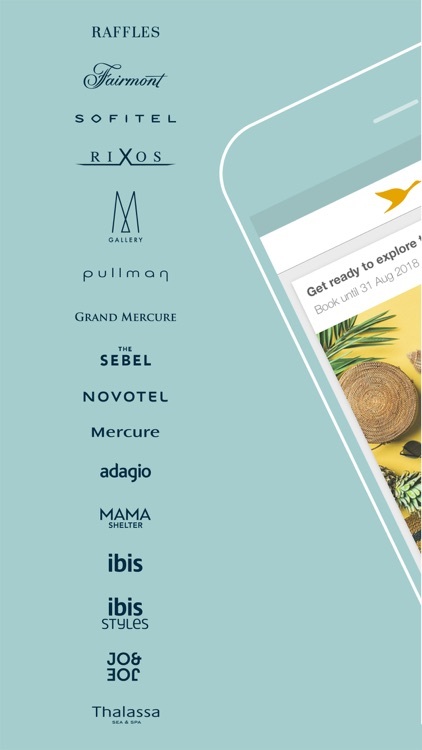 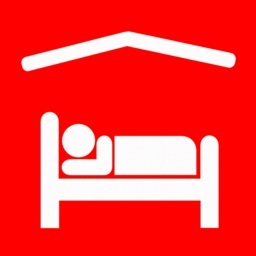 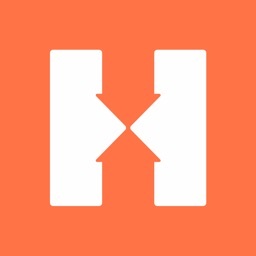 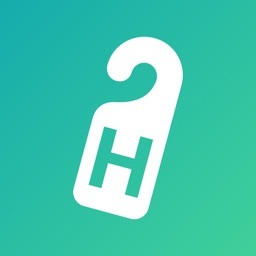 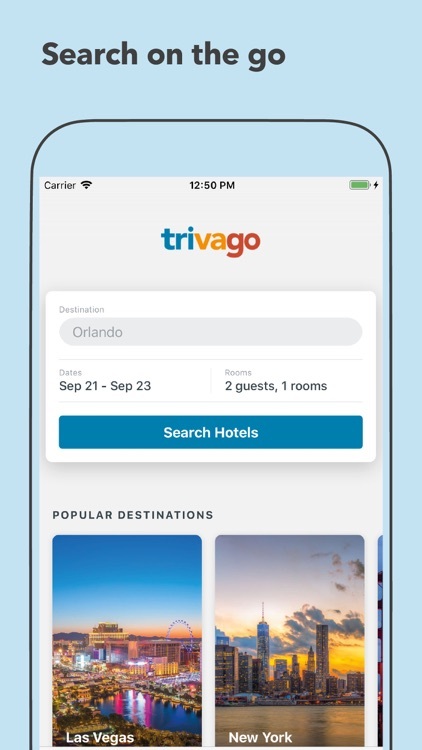 Find Me Hotel Deals gives you all the power of Hotwire, but on your iPhone and iPad - find your hotel on the app, and then buy through Hotwire. 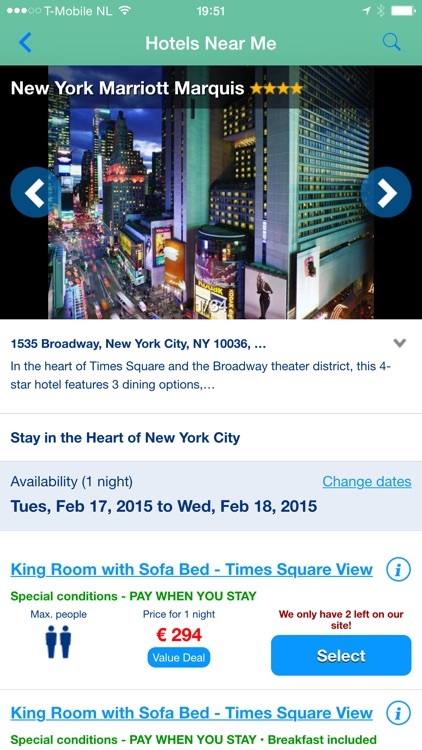 Perfect if you don't need to know which hotel you are booking tonight, or in the near future! 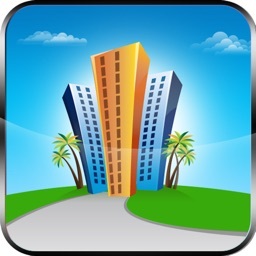 Quality application that uses location services to help you find your way back to hotel. 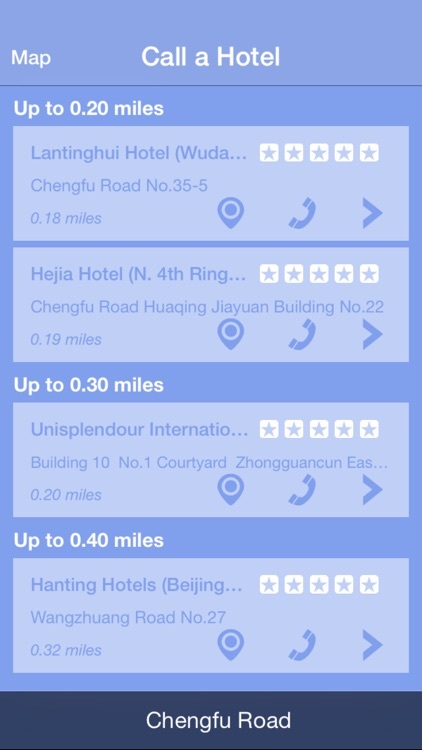 The distance to your hotel is displayed in real time as you walk.